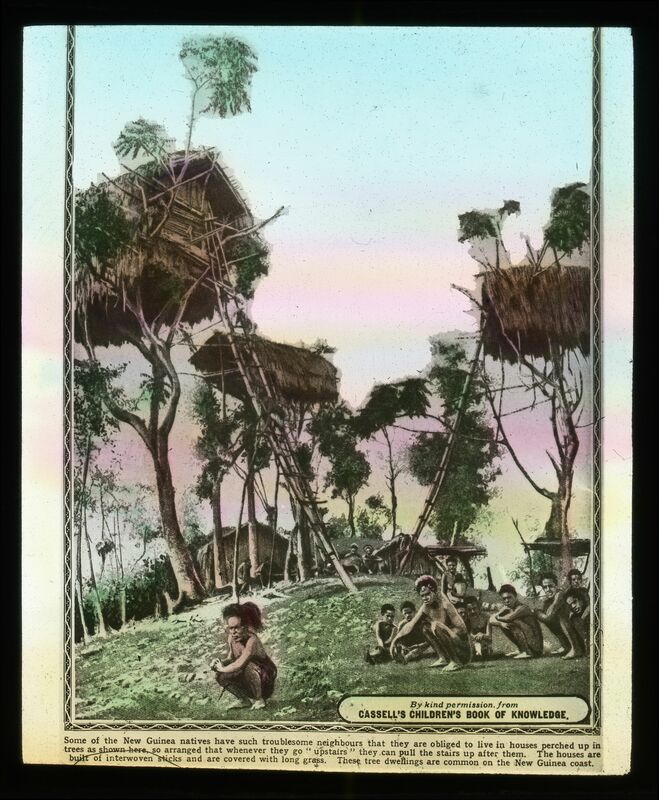 Some of the new Guinea natives have such troublesome neighbours that they are obliged to live in houses perched up in trees as shown here, so arranged that whenever they can pull the stairs up after them. The houses are built of interwoven sticks abd are covered with long grass. 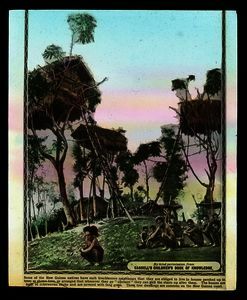 These tree dwellings are common on the New Guinea coast.